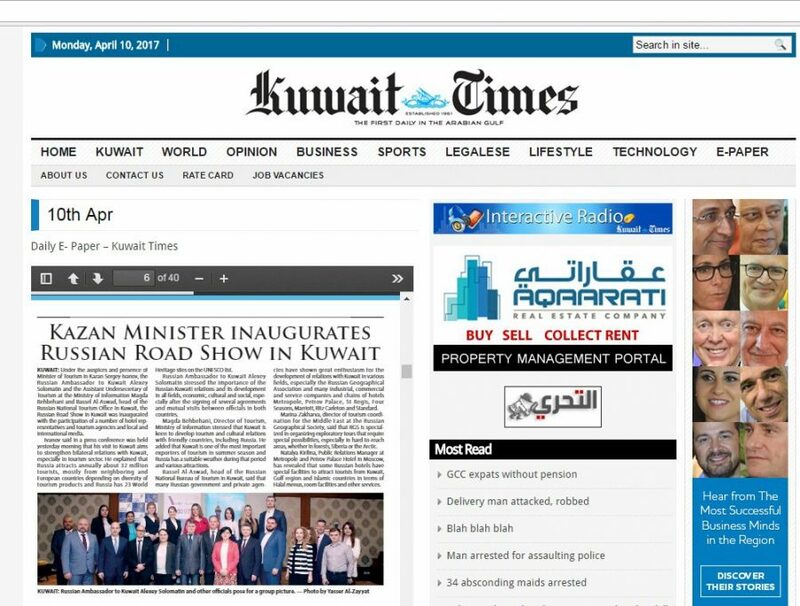 On 09 April 2017, Kuwait hosted a press conference and workshop under the slogan Time to Visit Russia with the PR support of SEA Company. More than 16 companies participating in the business mission arrived in Kuwait at the invitation of Visit Russia were able to personally present their regions and objects of cultural and tourist display. 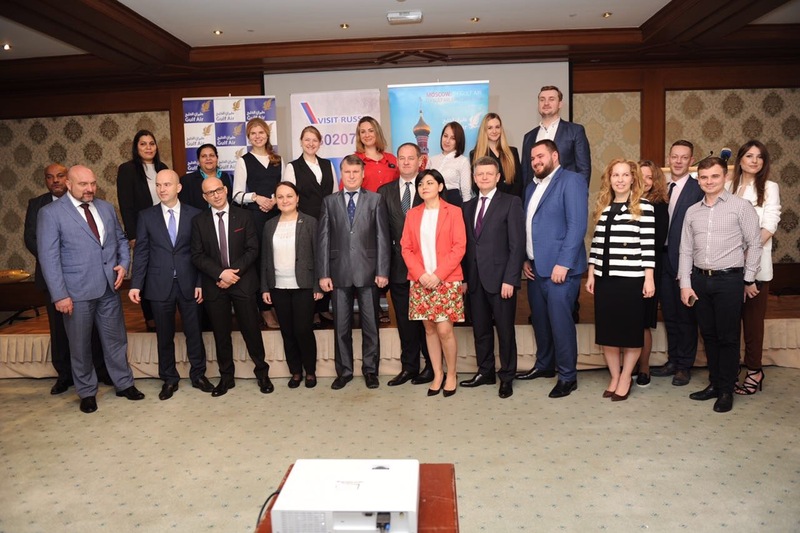 Moscow, Sochi, Rostov-on-Don, Krasnodar, Kazan and other representatives of the business mission were able to charm representatives of state authorities, Kuwaiti corporate and travel companies, with their sincerity and Russian hospitality. Speaking at the press conference with an opening address, Russian Ambassador to Kuwait Alexei Solomatin noted: «Today Russia occupies a leading position in the world in many sectors, including tourism. A rich history, a wide choice of type of rest at any time of the year, sincere Russian hospitality and many other things attract tourists from abroad. The organization of such events has a positive impact on the development of awareness of Russia, the increase in the tourist flow and the establishment of business ties. I sincerely believe that after this event the flow of tourists from Kuwait will grow, and the participants of the business mission will be the first to receive them in their cities». The road show of the business mission was a return visit business mission of the tourist industry of Kuwait and Bahrain, which was held in Moscow in March this year.